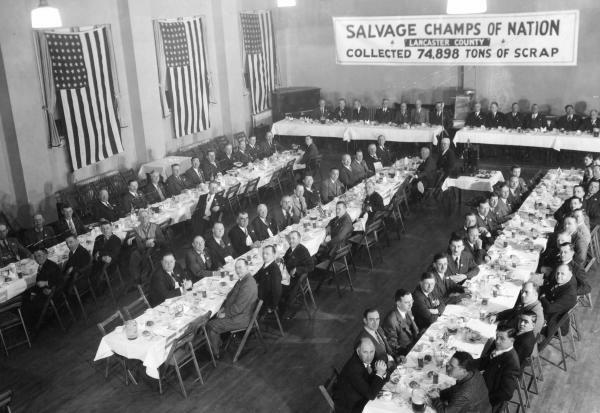 Banquet for collecting the most scrap metal in the nation, Lancaster County, 1942. Flip to Collecting scrap metal for the war effort, West Chester PA, 1942. In 1942, Lancaster County led the nation in the collection of scrap rubber, collecting 1.5 million pounds, 2 ½ times the quota.